Normally, I’d take a look at last week’s game, give a quick overview and go into the current week. But we don’t want to do that. No one wants that. Let’s all just forget it happened and move on. The one thing to take away from the dumpster fire that was the Baltimore game is this: Josh Allen is here to start and Nathan Peterman might not be in the NFL much longer if anyone with any semblance of sense has anything to say about it. This week? 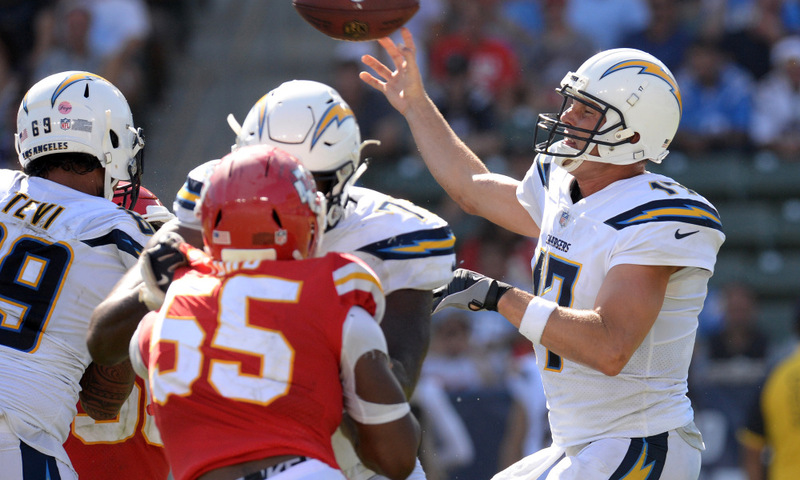 They face the San Diego Los Angeles Chargers who are coming off of a very typical Chargers performance: get down big early, then close the gap in garbage time to make both the score and the stat line look way better than they really were. Unfortunately for the Bills, they are the Bills. Any team they face is, in fact, not the Bills and is simply better thanks to that fact. Can the Bills apply pressure? 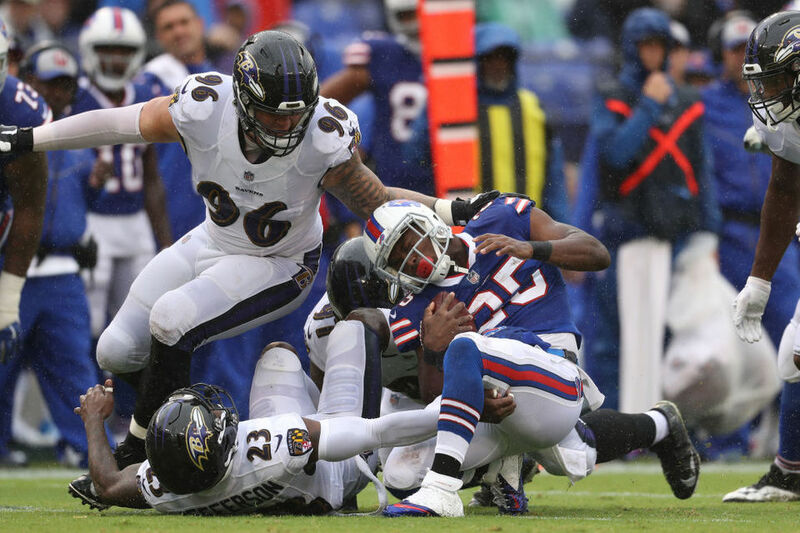 Against the Ravens, the pass rush couldn’t get home on the very not-mobile Joe Flacco, who was able take advantage of good starting field position and Bills turnovers to make what was supposed to be a very good defense pay. Facing Phillip Rivers, the procreating progeny this week, they not only face an equally adept passer, but someone who can get out of the pocket and extend the play (then scream at his offensive line) when plays break down. Rattling Rivers is the way for this defense to force turnovers and turnovers will be how the Bills pull out the win on Sunday. If they don’t apply pressure, Rivers will be able to find his receivers with impunity and there won’t be a damn thing the Bills can do about it. Not to mention that he can find running back Melvin Gordon out of the backfield just as often as he finds one of his receivers. Can the offense do…anything? Also worth nothing from the Ravens game was the almost hilarious ineptitude of the Bills offense. They couldn’t run the ball, they could pass the ball, they couldn’t protect Peterman or Allen. Pretty much any aspect of offense that could go right absolutely, unequivocally did not. So what the hell does that mean for this week? Well, for starters, they’ll be at home. The forecast (as of this moment, anyway) doesn’t call for the rain that plagued their visit to Baltimore. And as talented as the Chargers defense is, they’re without uber pass rusher Joey Bosa, so that’s one thing the Bills have going for them. Getting LeSean McCoy back on track and having him become the productive back we all know and love is the biggest key for the offense. Since he’s been in Buffalo, the offense has lived and died with his production and that won’t change anytime soon. Josh Allen is starting. Yay? After Peterman showed the world that he belongs nowhere near a football ever again, Allen was thrust into the QB1 role and didn’t look bad. He had a constant rush in his face, but showed the ability to create space for himself and showed off that all-world arm by firing rockets into tight windows. It wasn’t a superstar performance by any means, but you could certainly see the skill set that got him here. Sunday will be his first time getting the keys. As mentioned, they’ll ride Shady into the ground, but hopefully that can open the offense up a bit and give Allen to find his receivers. Granted, they might be the worst set of receivers in the league, but Kelvin Benjamin might be competent. Expect a somewhat limited role for Allen on Sunday to keep him from getting killed and putting up turnovers. So what’s the damage? On paper, the Bills will probably be outmatched in every game this season. The offensive line is just too questionable and the talent at receiver just too lacking for them to be able to get more than 20 points on a great day. The defense will need to be world’s better than they were last week and McCoy will have to approach something resembling productive. On the Bills’ side are two things: historically, the Chargers start the season slowly, so maybe the Bills can catch them off guard, and they struggle when traveling east. Still, the Bills are bad. Really, really, really, really bad. This shouldn’t be the tire fire that the Ravens game was, but it won’t be anything pretty.